Get Started Affiliate Marketing – A Step By Step Guide. Somewhere along the way you have heard that affiliate marketing is a good way to make money on line. Perhaps you are a spontaneous person and just lucked into this while chasing shinny objects. Maybe you have carefully reviewed and checked it out over a few weeks. Whatever your situation… Congratulations!!! Affiliate marketing can be lucrative and rewarding career. You need a little bit of ‘know-how,’ knowledge of a niche, a website, a desire to succeed and a few hours a week to do the job. Successes OnLine is dedicated to helping you succeed as an affiliate marketer. So, without further ado… Get started affiliate marketing! How To Get Started With Affiliate Marketing Step By Step. Congratulations! You have already completed step one. You are farther along than you thought you were! The first thing that you need to do is realize that affiliate marketing is a legitimate business. Like all legitimate businesses it will require that you invest time and yes, money into it. Now don’t get too bent out of shape, the time thing is a no brainer; the more you put in, the more you will get out. Most of us have other jobs and not a lot of time to commit to affiliate marketing. That is fine, only a few hours a week is enough to get started. As far as the money goes, well, good news! If you give up just two cups of coffee every week you can afford to make this business work. Setting goals is an important step. Do you want a little extra income, just to offset the bills? Would you like your business to replace your current income? Can you imagine your business grossing you seven figures? Set some goals, I can’t guarantee you will reach them but I can guarantee that if you do not set goals not much will happen. Tell me what sort of money you would like to see your business make for you; leave a comment below. (learn a bit about goals here). You may already have some (lofty?) goals… Let me know below. There are a lot of tricks to being an affiliate. There will be a lot of ‘trial and error,’ but this can be minimized by learning from successful people who have already been through it. 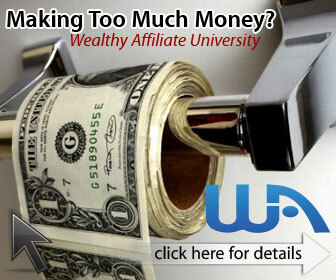 The best education anywhere for affiliate marketers is at Wealthy Affiliate. There may be more expensive, better packaged training but the ‘what you will learn’ part is unsurpassed! It is VERY modestly priced, there is a free membership or a premium membership for only $359. a year. Don’t get scammed into paying more, there are many places selling this caliber of training for over $30,000! At Successes OnLine we want you to succeed and will be there every step of the way to answer any questions or help you with any of the training. A website is nothing more than your storefront or office. A place where your clientele can relate with you. Like a store or office you can set it up or decorate it the way you want. You can make it the exact way you want it. The old days of translating your vision to a computer geek and paying him hundreds or thousands of dollars are over. Today, using available software you can create a site in your own style in minutes. The best place to find this software is at the Siterubix platform at Wealthy Affiliate. You can get up to 50 free websites at Wealthy Affiliate and wouldn’t you know it… The guys at Wealthy Affiliate will register and host your domain too. Just like needing traffic in a traditional type of store, you need traffic to see your website. To get started affiliate marketing you need to learn about how to attract traffic. Wealthy Affiliate will teach you all you need to know about online traffic. There are nearly four billion people using the Internet right now. Each one of them is searching to have a want or a need satisfied. There has never been a better time to get started affiliate marketing. You can begin your training for free right here right now! Affiliate Marketing is not a ‘get-rich-quick scheme’ it is a legitimate business. Like all business you are going to get out what you put in. Most traditional business fail within the first five years. Most traditional business do not have access to nearly four billion people. It is a lot easier to succeed when you are working with those numbers. It is not going to happen overnight, there is a learning period. There will be some time to get established and respected online; the time is just less (a lot less) than a traditional business. All you really have to do is believe! Right now is the best time to get started affiliate marketing. Just by being here reading this you are closer to reaching your dreams than you thought you were. Sign up for free here and begin your journey toward success today. This time next year you could be joining me on the beach at some beautiful tropical beach somewhere sipping coconut rum drinks and enjoying the lifestyle that affiliate marketing has afforded us. If you have any questions or concerns, leave them in the comment box and I’ll get right back to you. There has never been a better time to succeed at affiliate marketing. You can begin your exciting journey, get started affiliate marketing right here, right now! Step Seven – Sign Up! For a limited time only sign up HERE for free and get instant access to the top Internet Marketing Community online. Ask me how to get a copy of my book ‘The Success System’ A guide to a prosperous life. Let’s all have fun and make money! See you on the beach! What Are The Easiest Ways To Make Money OnLine? This type of business is really great. So many people are now seeking ways to not only make money online but work for themselves and this is a great way to accomplish that. It is Norman, and there has never been a better time in history to take advantage of the opportunities the on the internet. help them and make a bit (or a lot) of money in doing so. Very Inspiring to know that living a busy life style and committing a few hours a week to WA we can succeed! There are thousands and thousands of niches that you can promote as an affiliate marketer. You will find one (or more) that you can be excited about. Stick to the training and you will be successful! The six steps you provided will lead anyone to Success as long as they are following with determination and persistence to meet roadblocks and challenges along the way. Very well written and presented. I have heard that in life, nothing worthwhile is ever easy and nothing easy is ever worth while. and cannot remember learning to ride but, we can sure remember crashing (the harder the crash the more memorable). Despite this, something has kept us getting back on that bike and riding to school or just for fun. That persistence and determination can be transferred to other areas of your life (like business) and you can be successful! Great post! Very informative, this is most definitely something I may consider for extra income! People are spending hundreds of billions of dollars online these days! Even an ittie bittie tiney weeniey piece of that would be a nice bit of extra income! Hey Robb, One of my goals in the new year is to get started with affiliate marketing, however the problem i’ve been having up until this awesome post is exactly on how to get started. There is a lot out there and it’s all very confusing. I am incredibly grateful i found this post and I will definitely follow your steps that you awesomely outlined! That is great Barry and good luck with your goal. Follow the training at Wealthy Affiliate and you will see some amazing results! Thank you for sharing with us how to start affiliate marketing process.Many people are interested in making money through this program and I can say that they are in right way to success.It is not a quick rich program that’s why many people start and stop after a simple trial but it will ask much persistence and commitment o get where they want to go. Choosing a powerful platform which will host website and provide training is the secret and I have chosen Wealthy Affiliate because it is the best one i found. Thanks Julienne… It is important to have persistence and be committed. Wealthy Affiliate has an incredible community of like minded people who are (very) willing to help and keep you motivated. Its so hard to find an opportunity that you can trust these days. A non scientific poll says their are about 80 scams to every ok opportunity and then about 200 not so great opportunities to 2 great opportunities. Of course its hard to find the right opportunity as a newbie and even as someone that has been looking for a while. I see you have chosen Wealthy Affiliate and I’m here to say the opportunities don’t get better than this. This is a great article that anyone reading should jump on and get going. I know there are a lot of scams out there; I was not aware of the numbers though… I got caught up in a really big scam about a year ago and lost a lot (an awful lot) of money. I stumbled across Wealthy Affiliate and every one I know told me how crazy I was to get involved after what had happened to me. I must admit I wondered a couple of times myself! I really needed a way of paying off my huge losses though and had to believe. Since signing up with WA I have not looked back or doubted that things would work out once. Your article is interesting. I really enjoyed the part about setting goals on your affiliate marketing journey. This is important and challenges one to get the tasks done. Personally, I set myself a email marketing strategy that took me several weeks to understand the nuts and bolts of. I broke it down into manageable tasks and it became much easier. Yes the work can be challenging at times, but it does get easier! That’s great it is getting easier Stella… Keep at it, stick to your goals, break them down into easy to manage do able sections and everything will come together. You can’t walk around the block without taking that first step. It is so welcoming to get a comment from someone who is excited and believes in the process, thank you. I must say that I found your article to be very helpful Robb. Affiliate marketing is really one of the best ways to earn money online but one should know what is he doing. I agree with you, education is very important and no one should rush to make online income just like that. Thanks, Daniel, I’m glad I was able to be helpful… Affiliate marketing is one of the best ways to create a profitable business and Wealthy Affiliate is with out a doubt the best place online to learn every thing you need to know to be successful. There’s a vast array of opportunities in the online world. Online world is still in its infancy and will continue to grow. This is a really good time to get your foot in the door. 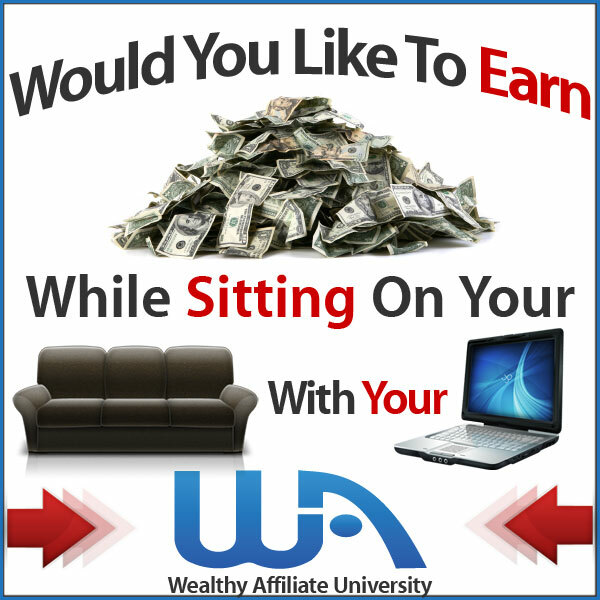 Wealthy Affiliate is definitely the way to go. I’ve been a member at Wealthy Affiliate community for about 2 months now. I enjoyed every bit of it and the training is amazing. Wishing success to every member at Wealthy Affiliate. You are so right Pardeap, affiliate marketing is still in it’s infancy. There has been just enough time for the ‘pioneers’ to let us know what works and what doesn’t. There is such a huge opportunity to succeed right now. Never before has there ever been a better time to get in on anything! Nearly four billion people are searching for things that as an affiliate marketer we can help them find and make a bit (or a lot) of money in the process. Keep up with the training and you will reach your goals! Let’s all have fun and make money! I’m sure your ‘little pink drink’ has a marketing plan that you may have to pay for and it may be all you need. However, the ideas and strategies you could learn at WA would put you miles ahead of other affiliates in your niche. would benefit you… Try it free right here right now! It surely is incredible that if you follow these six steps and put the time and effort in to succeed, you really will! This was an encouraging read and made me excited to keep going with affiliate marketing! I have the same belief that the sun will rise tomorrow morning as I do that you can succeed at affiliate marketing. Let’s all have fun and make money! Thank you Dave… Stick to the training in boot camp and ask lots of questions. You will be an expert before you know it. the same place. Let’s all have fun and make money!